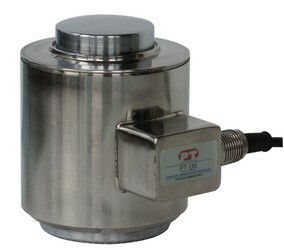 The HCC is a fully welded stainless steel canister load cell with a protection level of IP68. Rugged construction houses a high accuracy measurement element which provides better than .03% combined error. With a top capacity of 450t, this is one of the worlds highest off the shelf capacity load cells. It’s ideal for civil engineering for concrete strength testing and bridge weight measurements. Also common installations include materials testing and break testing. In addition to the high capacity, the HCC has a safe load of 120% and an ultimate load capacity of 300%. The HCC is provided with 2mV/V output signal and a 9m long integral cable. It’s available in 4 standard capacities of 90t, 180t, 225t and 450t with an operating temperature range of 35c ~ 65c. A compensated temperature range of -10c ~ 50c makes the HCC the first choice for serious measurement professionals.